It's 01:11 in Old Forge, USA right now. 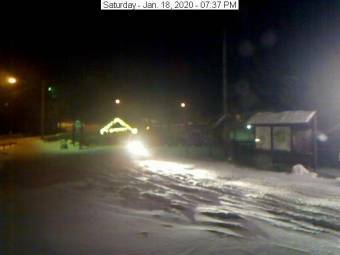 Information Center A webcam in Old Forge, New York with image archive and current weather data. Camden, New York: City View, 46.6 miles away. Hoel Pond, New York: Hoel Pond Cam, 54.1 miles away. Sandy Creek, New York: Sandy Creek School, 55.7 miles away. Canton, New York: Sykes Road, Canton, 61.9 miles away. Lake Luzerne, New York: Stuart M Townsend Middle School, 63.2 miles away. Morristown, New York: River Watch Marina, 69.2 miles away. Manlius, New York: Fayetteville Manlius High School, 70.2 miles away. Glens Falls, New York: Glens Falls Middle School, 72.2 miles away.